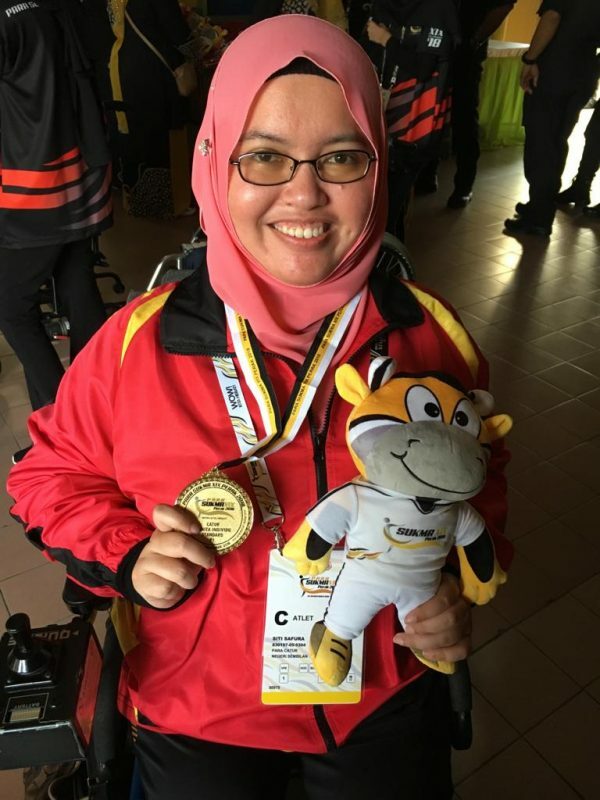 Our very own Siti Safura Jaapar has won the gold medal in the Women’s Standard category in Chess, at the 19th Para SUKMA Games in Perak yesterday. “I just want to do my very best and enjoy the excitement because I know there were many tough contenders. Precise decision is a must for every move in chess, it trains myself to be a good decision maker,” said Safura after winning the medal. Siti Safura has been a Perdana University student since 2015, earning a Postgraduate Diploma (PgDip) in Bioinformatics in 2016. She then continued on as a PhD student, studying the role of gut microbiome in spinal muscular atrophy under the supervision of Assoc. Prof. Dr Mohammad Asif Khan. The topic is of personal interest to her as she is afflicted with the same neurodegenerative disease, which has limited her mobility. She has not let it limit her spirit however, as evidenced by her achievements in and outside of Perdana University. She is also the Founder and current President of SMA Malaysia, a support group for spinal muscular atrophy patients and their families. We sincerely congratulate Safura and wish her more success in the future. Well done! This article has been updated with Siti Safura’s quotes.